With its contrasting yellow and purple colors the ametrine is one of the most unique looking gemstones in the world. Newer finds also include other colors like red and orange giving it an even more amazing look. 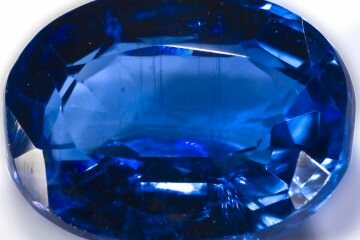 It is a shame that this beautiful gemstone is not more popular. However it’s quite likely that most people you know have never seen anything like it. This makes ametrine an excellent gemstone to create an affordable yet high quality and unique piece of jewelry. Ametrine (or trystine) is a variety of quartz (SiO2) that occurs naturally. Despite what many people may think. Ametrine can be considered a mix of amethyst and citrine, giving this gemstone its name. Normally either amethyst or citrines are formed depending on the temperature at the time. 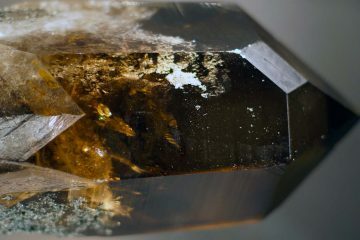 The iron present in the quartz takes on a different oxidation state giving them a distinct purple or yellow color. However sometimes temperatures can vary greatly over short distances and one side of the crystal has a (far) higher temperature than the other side. When this happens to quartz with iron impurities ametrine can be formed. The story goes that this gemstone was first introduced in the western world by a conquistador’s gift to the Spanish Queen. He received a mine in Bolivia after marrying a princess from a local tribe, the Ayoreos. It is hard to verify this story, however the fact is that almost all natural ametrine comes from a single mine in Bolivia, the Anahi Mine. Which is also one of the world largest amethyst mines. The trade name of ametrine is bolivianite which shows just how important Bolivia is for this gemstone. It took until 1980 before good quality ametrine came on the market in larger amounts. Some deposits have been found in other countries, most notably in Brazil. 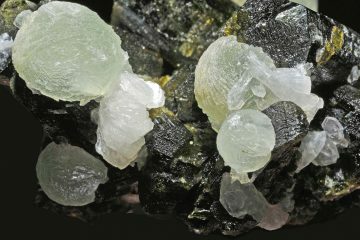 However these usually produce lower quality ametrine and in small quantities. Being a quartz ametrine has a good hardness of around 7 on Mohs hardness scale and is hard to chip or shatter. Which makes ametrine an excellent choice for gemstone jewelry. Usually they are cut into a rectangular shape with a 50/50 split between yellow and purple. Even though ametrine jewelry can be worn every day there are still a few things you should be aware of when you want to take proper care of it. Most importantly is that ametrine is heat sensitive, in normal use this is not a problem. However accidentally touching a hot stove or oven might discolor the gemstone and ruin the color contrast. Cleaning is best done with soap or a mild detergent in warm water. Be sure to dry it well afterwards, your metal jewelry might not like it when it is stored while wet. An ultrasonic jewelry cleaner can be used. Stay away from steam jewelry cleaners because they clean at a very high temperature. Store it in a separate compartment, ametrine can easily scratch other jewelry and even some of the softer gemstones. Here are several things you should be aware of before you buy ametrine. The most important thing is that synthetic ametrine has been on the market since it was synthesized in Russia in 1994. Usually natural amethysts are used for this that are heat treated to change part of the purple amethyst color into the yellow of a citrine. These treated gemstones are almost impossible to distinguish from natural ametrine. To avoid falling victim to this by paying the price of a natural gemstone for one of these synthetic stones you should only buy from a dealer you trust. Of course there is nothing wrong with buying a synthetic ametrine, they look just as amazing and should be quite a bit cheaper. The treatment must be disclosed beforehand however. 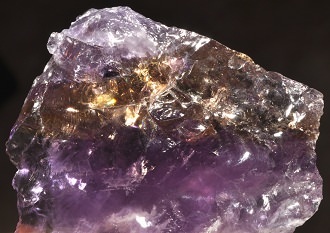 The price of an ametrine is mostly determined by its color. Not just how deep they are, but also by the contrast. A 50/50 split ametrine with a deep golden yellow and dark purple color with a sharp transition is considered the highest quality and can be quite expensive. Clarity is important as well, you should not settle for less than eye clean. Fortunately most ametrine on the market has a good clarity. Ametrine rings can be beautiful, however the color changes are better visible in larger sizes (5+ carat). 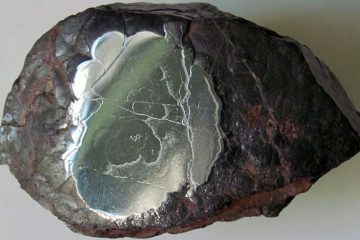 So they usually look better when used in an ametrine pendant or necklace. Especially if you are going for a more modern cut, which often have more than two transitions. In some cases they even have additional colors like orange or red. So how expensive is ametrine, considering they are only mined in one or two locations in the world? Surprisingly it is quite affordable, the Anahi Mine in Bolivia is very productive. Prices were lowered even further by the introduction of synthetic ametrine. For a high quality natural unheated loose ametrine you should expect to pay around $10-$20 per carat. Even in large sizes, 15+ carat ametrine is not that rare, you can expect these numbers to hold up. For some reason ametrine has not really gained any popularity among jewelry designers. Hopefully this will change with the more modern cuts that are reaching the market. This means that if you are looking for a high quality piece of ametrine jewelry you might need to look around for a while. It is said that ametrine combines the powers of amethyst and citrine which makes this a very powerful and versatile gemstone. The main use of ametrine is helping with depression. 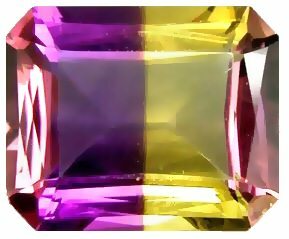 Here’s a video of an amazing 37.25 carat fantasy cut “Picasso” Ametrine from Bolivia which was cut by Steve Moriarty.